McAfee LiveSafe is a complete solution for internet security. LiveSafe excels in performing the most important security tasks. Unfortunately, not all the extra features work equally well. What makes LiveSafe unique? In the past, McAfee LiveSafe differentiated itself from other McAfee products by securing all your devices with just one subscription. From the latest generation however, Multi-device internet security for various operating systems is no longer unique to LiveSafe. The McAfee packages are therefore difficult to keep apart. In almost all relevant antivirus tests, McAfee has an excellent score. Especially the basic virus detection tasks are performed well by LiveSafe. Protection against phishing and spam works fine. There is nothing lacking to the number of extra features. However, we found the quality of the features below par. You should expect more for the price you pay for the bundle. The tests also showed that the McAfee firewall is simply not waterproof. The function of parental control is also quite inextensive. For example, protection for Apple equipment is limited and some iOS features do not work as they should. For Mac-users, there are better alternatives on the market. We are, however, pleased with the addition of Intel’s True Key. In essence, the function works the same as every other password manager: all your online passwords are remembered and at the same time kept safe. A nice feature is the True Key profile. This allows you to set up to 5 different forms of authentication, including facial recognition. With LiveSafe you purchase 5 True Key licenses. In addition, this internet security from McAfee offers you the possibility to store your most sensitive information online and have dual security with both voice and facial recognition. A personalised advanced vault in the cloud may sound quite futuristic, but in practice it works well. 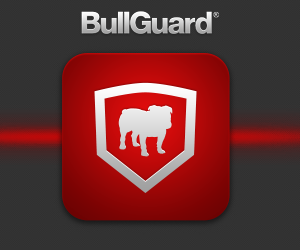 In this, McAfee does distinguish itself from its competitors. 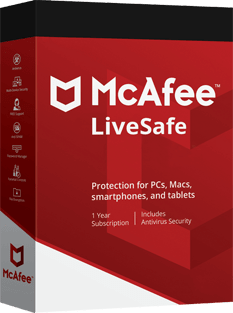 McAfee LiveSafe is the manufacturer’s most comprehensive antivirus bundle and delivers excellent performance where core security tasks are involved. The extra additions are useful, but not neatly finished everywhere. Dual security using voice and face recognition makes it a unique internet security purchase. See also the McAfee Total Protection 2019 Review. McAfee Total Protection is recommended as one of the best antivirus for consumers.